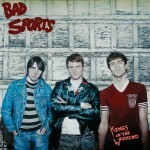 The last time we all heard from Bad Sports was with Kings of the Weekend. In the end, it was an enduring record, that although solid, might have rang a little bit too much like a one-trick pony. But, now that the band are back with Bras, you can rest assured that you’re not getting the same trick over and over; the boys have changed things up, leaving us with a refreshing bit of rock n’ roll. Bras begins with “Get You” and “Washed Up,” which wear the clothes of the group’s first record. It’s quick punk-influenced rock n’ roll of the garage ilk, though the drumming stands out on these two tracks. As always, the band demonstrates their knack for wrapping their fury in catchy hooks built to please sweat drenched crowds willing to throw caution to the wind. By the time that Bad Sports find themselves at the third track, they start to cross into new sonic realms. “Nothing In This World” is more of a power-pop track than anything the band have done to date, though by speeding things up in their own style, they maintain their tough street cred. But, it’s “Let Me In” where you’ll really see the changes. The track starts out with a dwindling guitar and vocal before it bounces into anthemic pop goodness. There’s even a bit of swing to the sound of the guitar as the song progresses. This all backs into “Back In Time;” this track definitely has the influence of glam rock power ballads. It’s refreshing to see the change in the group, aiding the enduring quality of this LP. It’s hard to ignore a single track on Bras in the long run. Each one leaves a trail of breadcrumbs across the underground musical landscape, though they all have this pop sensibility built for screaming fans crammed into tight spaces. I can’t wait to catch these guys in the act and sing the chorus to “Terrible Place;” I’ll probably be pumping my fists throughout. Oh, and if the bubbling bass line in “Rockin’ the Noise,” I have a feeling we’ll all be bouncing about, rubbing elbows with each other like only great music can make us do. For me, I think the latest record from Bad Sports is worthy of everyone’s time. It might have been true that the group was nodding to punk rock fans early on in their career, but the direction that Bras takes leaves no doubt that the band just want us all to join in on the fun. It’s rock n’ roll in the best sense, using great drumming, sing-a-long anthems and working-class grit that will leave you thirsting for more. Go on, press repeat. You’ll thank them later. You all know how much I love my punk rock, and probably the best place in town to enjoy such bands, for me, is Beerland. 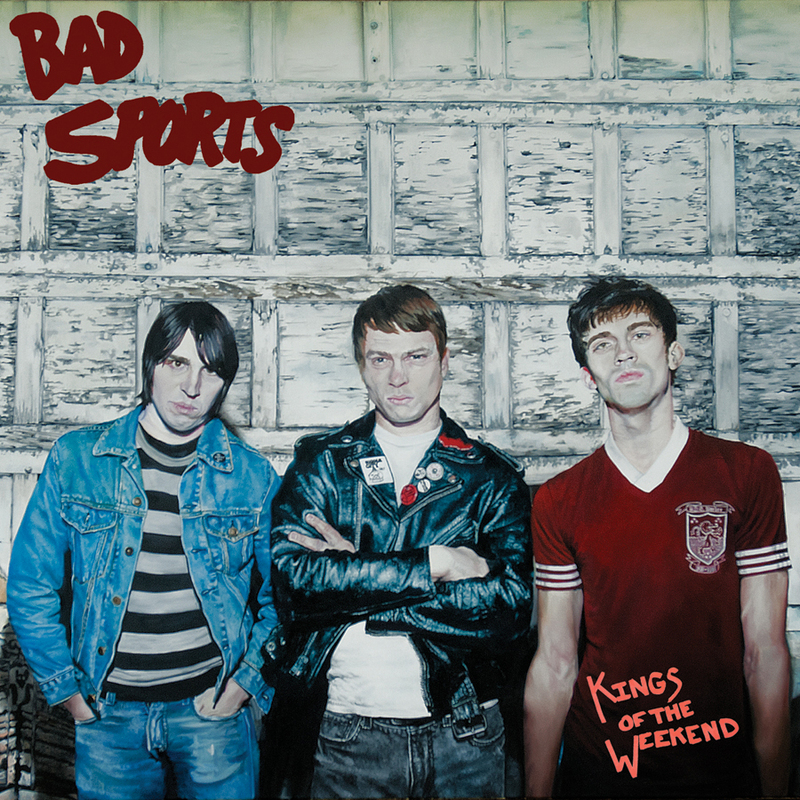 It’s the perfect place to catch the gritty power-pop of Bad Sports, the Texas band who’ve been blazing away after the release of their recent record, Kings of the Weekend. 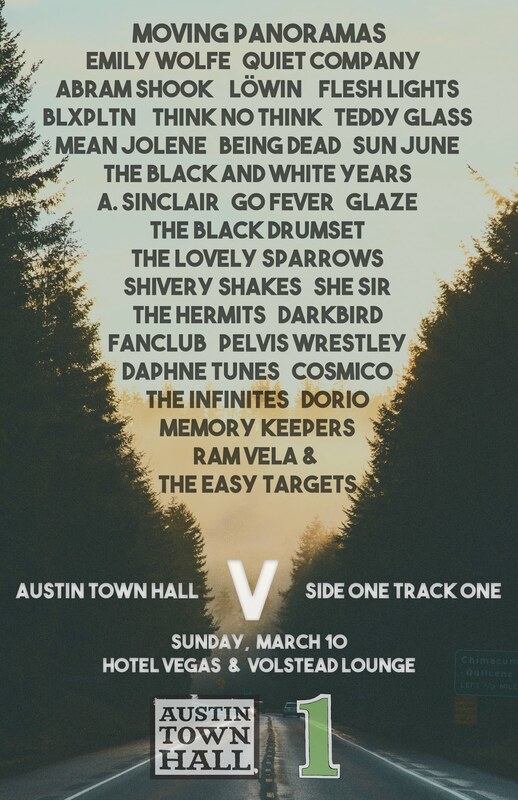 As if one great band wasn’t enough, you’ll get two, with Wax Museums opening up the evening just after Bang Bang Theodores. It’s going to be cheap, there’s going to be booze, and some of the best bands around, so you better get there! Whatever’s in the water in Denton, Texas, people better start to take notice, as the area continues to push out great garage-pop rockers, and Bad Sports are no different. Their second album Kings of the Weekend, this time on Dirtnap Records, is just an energetic burst of great licks, giving you exactly what you need–a solid dosage of good old fashioned rock n’ roll. The band jumps right in with “Off Switch,” and while garage-pop might be all the rage, this track opens up with a lot more fury than most things associated with the genre, showing you that Bad Sports aren’t here to rehash, they’re here to reimagine on their own terms. From here, the band burst into a bit more territory with hints of the Ramones. “Cant Just Be Friends” might not have the hammering pace of the Ramones, but you can feel that element of harmony bubbling in the bass, something that truly labels both bands as fans of good old pop music. “Sweet Sweet Mandi” definitely bears the mark of the classic New York group, with the delivery mimicking Joey, and that hooky chorus that enables you to sing along. “Teenage Girls” is one of those songs that illustrates the group pushing themselves to live outside of their obvious influences. It’s less punk-infused, going back to more of a garage style of power-pop. Even the solo cutting in belongs somewhere in the annals of garage/rock/pop history–this is not a bad thing! it’s a similar feeling you’ll find with “You Look Funny,” which has the band using a likeness of the garage sort, just getting a bit dirtier in the final mixing. One of the tracks that stood out to me on Kings of the Weekend was “I’m In Love with Myself.” I love a tune that utilizes simplicity in lyrics, but combines solid pace and a bit of a guitar solo. You’ll find that this is the sort of song that fits perfect into the live setting, giving in to the fans need to pogo about and shout lyrics back at the group. Another Bad Sports number here that fits this mold, though in a slightly different manner, is “June Sixteenth.” There’s something about the song’s inherent melody, the sound of the guitar and the pounding drums to wrap the song up that just hits home for an aged punk like myself. In all honesty, Kings of the Weekend is filled to the brim with brazen pop ballads in punk fashion. There’s not a single song you’ll want to skip, but that being said, you might also be able to say that a certain creativity is lacking. But, when it all boils down to it, aren’t we all just here to have a little bit of fun with our music? If that’s your bag, then this new record from Bad Sports is built exactly for you.